Why is office interior design so important? Today’s best employees look for a workspace and atmosphere that can not only inspire and help with their work productivity but also contribute to their well-being. Companies have also started realising the direct relation between workspace design and company productivity, hence looking into it as an investment. With Millennials taking charge of the work environment, and Gen-Z entering the workforce, cross-generational workspace design reflecting company vision is started to gain popularity. In this blog article, we will show you the six latest trends and concepts that you could use in your next office design. Activity Based Workspace (ABW) design, the new emerging workplace trend, lets the employee choose their workstation anywhere in the office depending upon his/her task and their work style. For example, if an employee needs to complete a task that requires high concentration and attention to detail, he/she can simply use an assigned isolate or quiet area to avoid any distractions. On the other hand, if an employee is assigned to a task which requires collaboration and discussion with the other team members, he/she can use the allocated meeting rooms, breakout spaces or telephone/video conference spaces. ABW breaks the traditional design of assigned desks, allowing the employees to collaborate more freely resulting in greater productivity and improved results. Aluform Tip: At Aluform we offer a wide range of aluminium partition and sliding systems which can be easily adapted as per the latest ABW design. 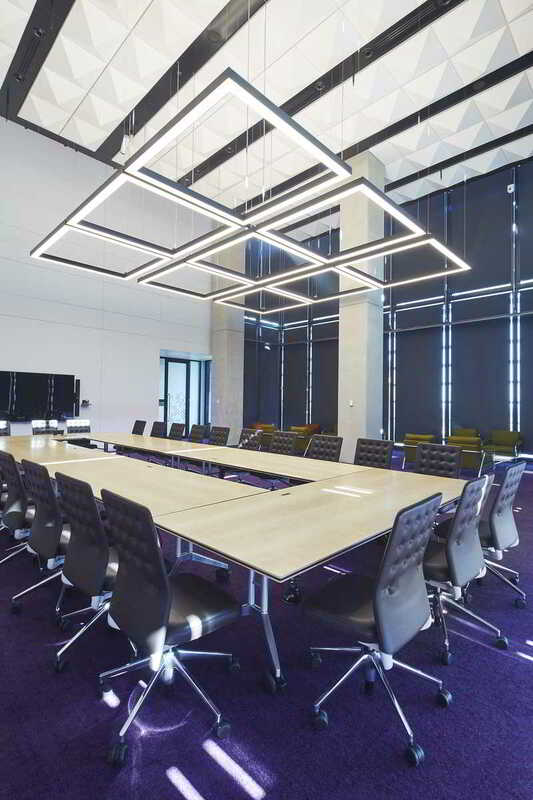 From our Series 1000 Partition System, suited for all general office applications, to Series XDG Partition System, suited for optimum acoustic performance, Aluform’s range can be effortlessly incorporated to achieve ABW design. The biophilic design focuses on bringing aspects of nature into the office space. Research has shown that incorporating features like plants, natural lights, good ventilation and views of nature have positive effects on employees’ health and well-being. The trend of Biophilic Design has shifted from the simple addition of indoor plants to integrating features such as living walls, earthy tones and natural framework. Designers are now also placing an emphasis on the recycled content within office space design in order to achieve a high green star rating. Aluform Tip: What percentage of recycled content do you think can be included in our aluminium extrusions? The answer is 100%. As part of our ‘Reclaim, Remelt, Reuse Program’, Aluform can provide aluminium sections with up to 100% recycled content for projects which require high green star ratings. All our aluminium extrusions are locally extruded using Australian aluminium billet and in accordance with ISO 9001 certification. Incorporating elements into the workspace which give a home-like feel is the current big trend in office space design. 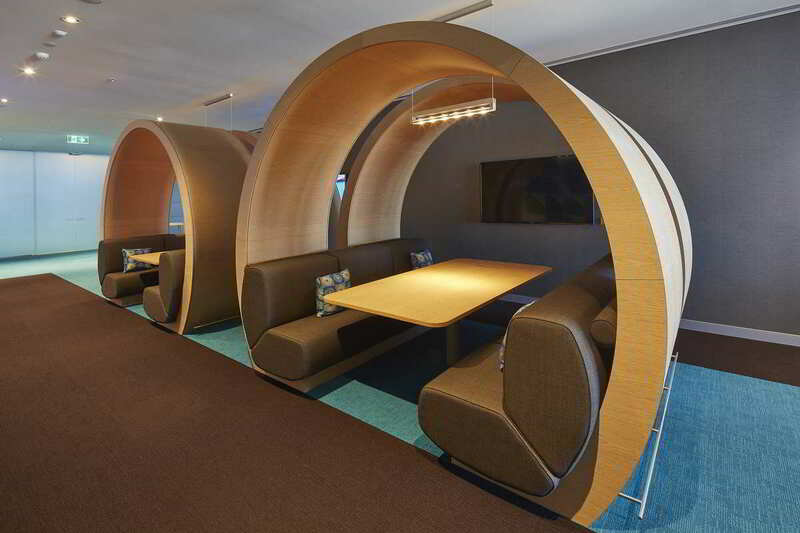 This concept aims to create a relaxing and stress-free environment and incorporates features such as bright comfortable sofas, swings, ping-pong tables and coffee stations, providing spaces for employees to recharge and remain productive throughout the day. Why would a company want to choose industrial office design? From a practical point of view, this office design in more budget friendly compared to other designs and provides a cost-effective option for a lot of start-ups. Also, the creative and unconventional industrial design tends to attract younger demographic employees. So, if your organisation is looking to target that segment of employees, then Industrial Office Design is the choice for you. Sit/Stand Desks: These are height adjustable desks which allow employees to alternate between sitting and standing while working. Ergonomic Chairs: Office chairs designed to provide optimum lumbar support and comfort. Good quality furniture is one of the best investments to improve employee satisfaction and avoid any discomfort. Poor posture due to the wrong style of desk and chair is an increasing concern for employees and leads to a decline in productivity. With modern aesthetics and style, glazed partitions have become increasingly popular in the latest contemporary workspace designs. Why choose glass partition walls for your next office fit-out project? 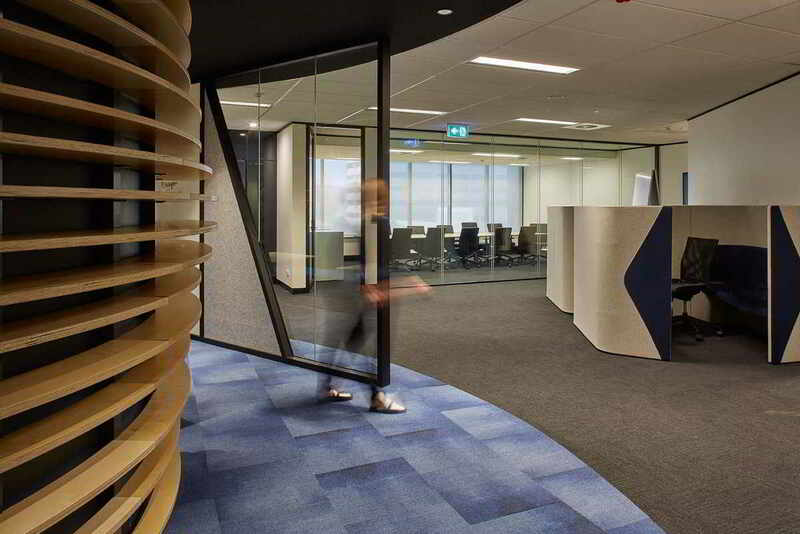 Openness & Communication: Compared to plasterboard walls, glass partition walls help in creating a feeling of openness and transparency, aiding improved communication within a team. 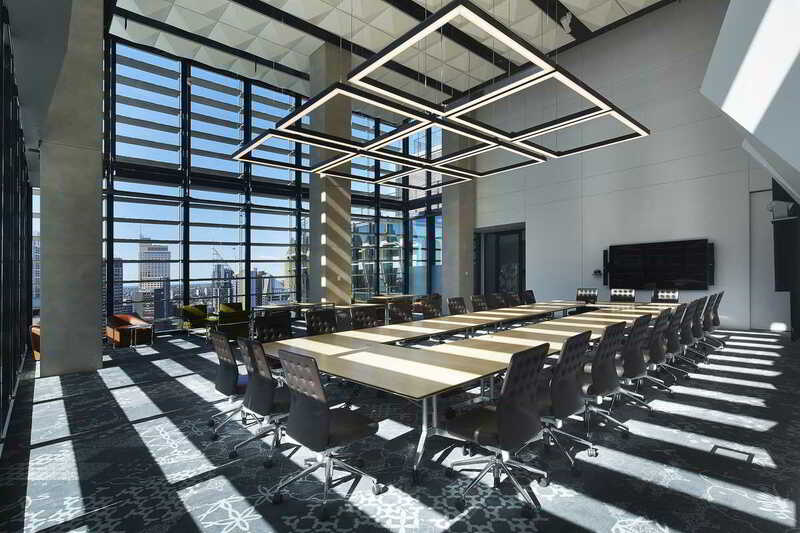 Natural Light: Use of glass partition walls to segregate different working environments can help in maximising the amount of natural light dispersed into a workspace and create an effect of extra space. Noise Privacy: Glazed partition walls offer optimum acoustic performance and noise privacy, whilst still allowing employees to feel included in their surroundings, as opposed to the obstruction of plasterboard walls. 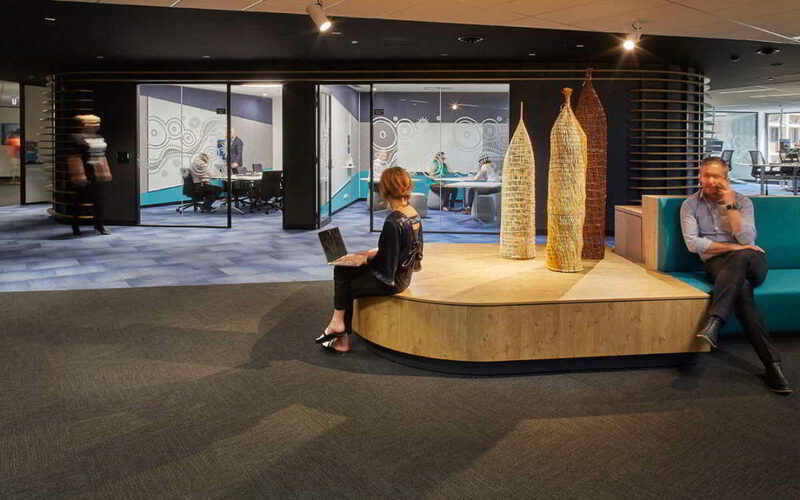 Work Productivity & Employee Wellbeing: If you are looking for an innovative way of creating separate working spaces, to increase work productivity, whilst providing the benefits of an open space and better communication, to increase employee well-being, glazed partition walls is the answer you are looking for.